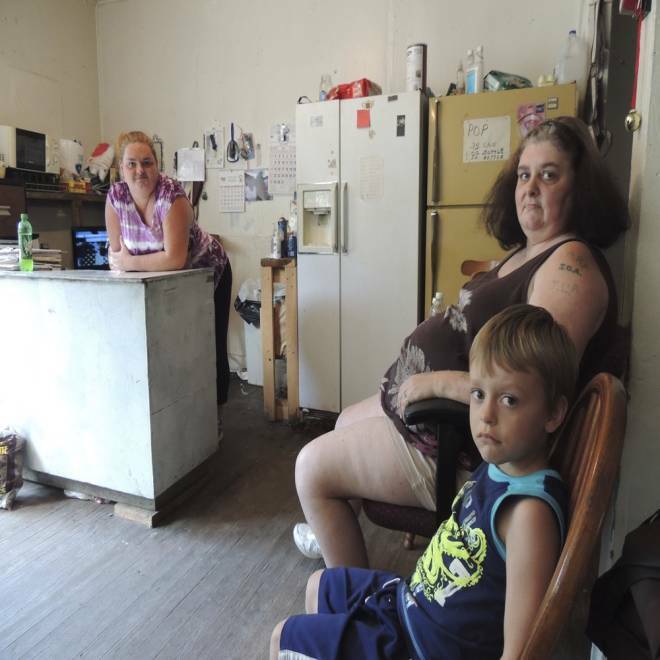 This photo taken Friday July 12, 2013, shows Renee Adams, left, posing with her mother Irene Salyers and son Joseph, 4, at their produce stand in Council, Va.
New York residents in need enjoy a meal prepared and served by chefs of world leaders, at Xavier Mission food pantry on July 27, 2013. 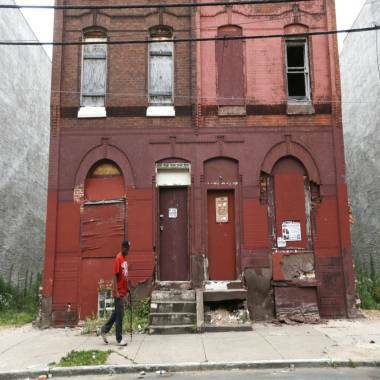 A man walks through a blighted neighborhood on July 11, 2013 in Philadelphia. 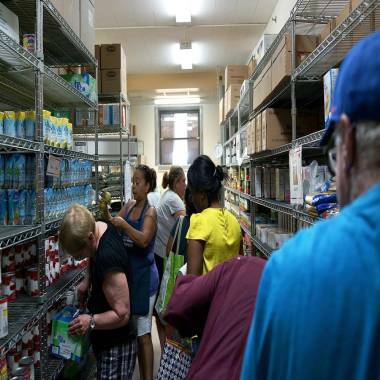 Volunteers help food bank clients in the pantry of the West Side Campaign Against Hunger food bank on July 24, 2013. • For the first time since 1975, the number of white single-mother households living in poverty with children surpassed or equaled black ones in the past decade, spurred by job losses and faster rates of out-of-wedlock births among whites. White single-mother families in poverty stood at nearly 1.5 million in 2011, comparable to the number for blacks. 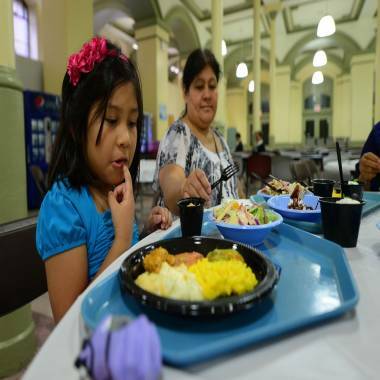 Hispanic single-mother families in poverty trailed at 1.2 million. • Since 2000, the poverty rate among working-class whites has grown faster than among working-class nonwhites, rising 3 percentage points to 11 percent as the recession took a bigger toll among lower-wage workers. Still, poverty among working-class nonwhites remains higher, at 23 percent. • The share of children living in high-poverty neighborhoods — those with poverty rates of 30 percent or more — has increased to 1 in 10, putting them at higher risk of teenage pregnancy or dropping out of school. Non-Hispanic whites accounted for 17 percent of the child population in such neighborhoods, compared with 13 percent in 2000, even though the overall proportion of white children in the U.S. has been declining. • Race disparities in health and education have narrowed generally since the 1960s. While residential segregation remains high, a typical black person now lives in a nonmajority black neighborhood for the first time. Previous studies have shown that wealth is a greater predictor of standardized test scores than race; the test-score gap between rich and low-income students is now nearly double the gap between blacks and whites. Some Democratic analysts have urged renewed efforts to bring working-class whites into the political fold, calling them a potential "decisive swing voter group" if minority and youth turnout level off in future elections. "In 2016 GOP messaging will be far more focused on expressing concern for `the middle class' and `average Americans,'" Andrew Levison and Ruy Teixeira recently wrote in The New Republic.